This is a cute little Gold Coloured stickpin from the St George bank, back when they were only the St George Building Society. It depicts their mascot, the dragon. 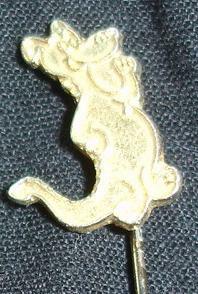 This is a cute little Gold Coloured stickpin from the St George bank, back when they were only the St George Building Society. 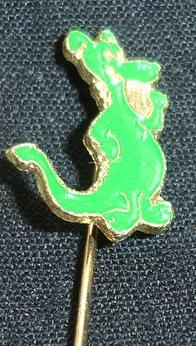 It depicts their mascot, the dragon, which has green colour for his skin. 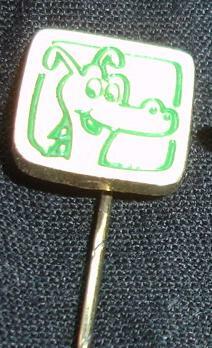 This is a cute square Gold Coloured stickpin from the St George bank, back when they were only the St George Building Society. It depicts their mascot, the dragon, outlined in green.